Streaming online content in Australia without bypassing geo-blocking is easier than you may think so to lend a hand I have compiled a list of what people are using and what’s coming. Expect to pay around $15 per month for the service, mileage may vary. Allows physical media and online streaming giving you the best of both worlds. Instantly stream hundreds of blockbuster movies and TV shows. Available on your computer and a range of internet-connected TVs, games consoles, tablets and smartphones. All you can view subscriptions and Pay Per Play new release movies. No lock-in contracts. No set top box. If your home internet is provided through Bigpond then BigPond movies is a service you should have a close look at. BigPond Movies is available on Samsung Devices, LG Devices with NetCast or Panasonic TVs and naturally on the T-Box. Bigpond Movies allows the customers to rent movies and TV shows from a variety of devices including the PC, android tablets, T-Box, and selected Smart TVs and best of all it’s unmetered. Currently supported by the following ISPs; iiNet, Optus, Westnet, Internode, Adam Internet and TransACT. Fetch gives you digital TV plus online streaming. Need I say more, you can use your existing iTunes credentials and hire movies. You will find yourself using an interface you are familiar with. Not to be outdone by Apple, Google also have a movies on demand service. This can also be paired with your Android devices using Google Play. Rent or buy the latest HD movies and TV shows on your tablet, PC, or TV. And with Xbox Video you get instant-on HD to start watching right away. Xbox makes it easy to watch what you love wherever you are. If you own a relatively new Sony device then you may be closer than you think to getting access. Stream movies from every major studio. Variety of blockbusters, all-time favourite classics, plus free trailers & previews. Buy or rent, in SD or HD. View on your PSP® (PlayStation®Portable), BRAVIA®, PlayStation®3, PC, Sony tablets and more. Hoyts have not let the cat out of the bag and are instead banking on quietly building hype. As it stands they are due to launch a Video-on-Demand streaming service called Hoyts Stream in early 2014. Currently 12 months later than the originally targeted date. The service will offer new release films to rent or buy, concurrent with the DVD window, plus library product and TV content. 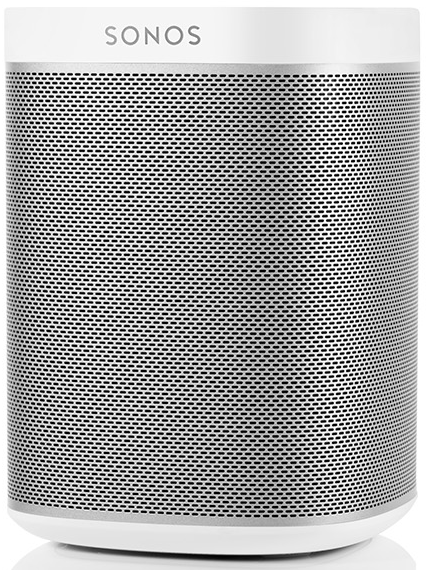 To celebrate the launch of the Sonos Play:1, from now until the 31st of December when you purchase a Sonos Play:1, Play:3 or Play:5 you will receive a Sonos Bridge absolutely free. 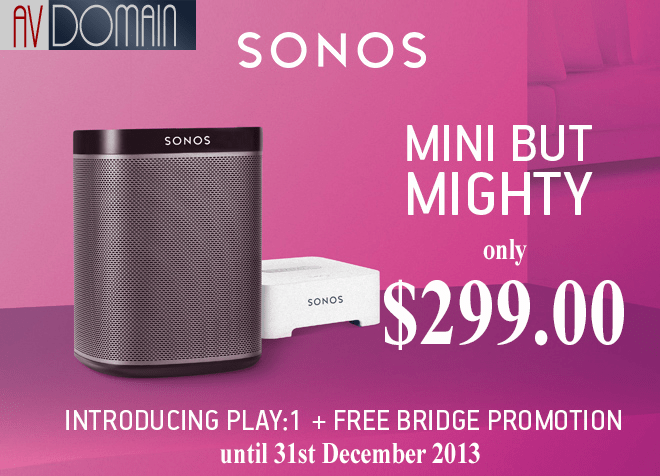 At $299.00 the Play:1 with a free Bridge is the best way to join the Sonos family. 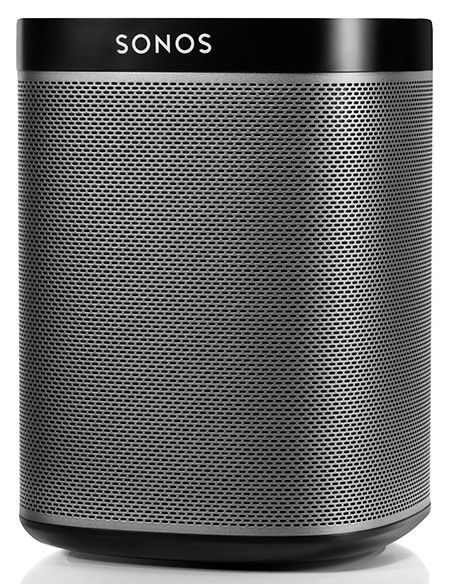 Sonos have added to their family and once again seem to have gotten it right. Can be used as rear effects with a Playbar. This is a very interesting read from the guys at PS Audio which should hopefully shed some light on any misgivings you may have about the reasoning behind the Source, Power relationship.